Conquering fears is a big part of childhood. Kids are confronted with scary new things on a regular basis: the dark, the monster under the bed, climbing a tree, a move to a new neighbourhood. Three spring picture books take readers through some frightening experiences to show them that facing fears can make them stronger and happier. 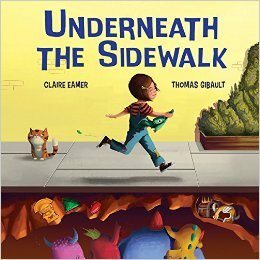 Underneath the Sidewalk, with both visual and thematic nods to Maurice Sendak’s Where the Wild Things Are, takes a dive into the murky world of the unconscious and explores the terror of the unknown. A happy, nameless little girl falls into a crack in the sidewalk and tumbles down to the caverns where monsters live. At first she is terrified, but soon the monsters join her in a rowdy game, and she realizes they are not as scary as she thought. Thomas Gibault’s illustrations are intimidating and funny by turns, and the heartbeat rhythm of Claire Eamer’s rhymes helps build tension. Guaranteed to provide both shivers and smiles of relief, this is a book that will fascinate and thrill young readers. 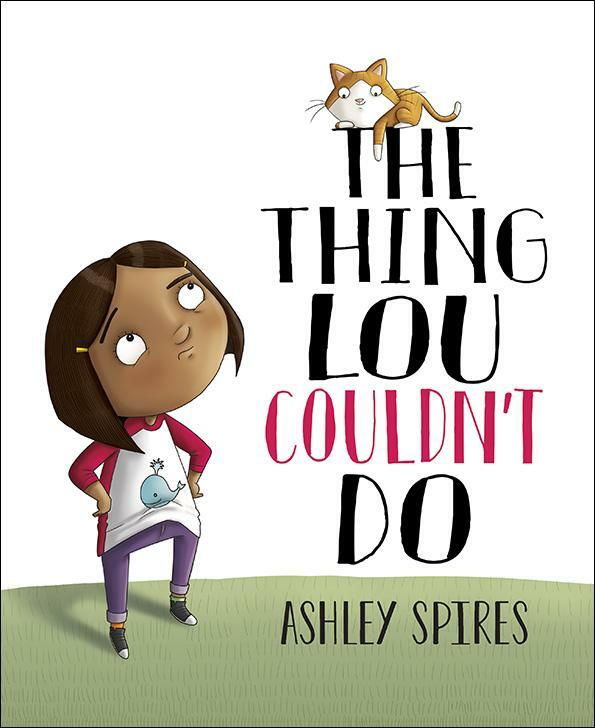 A very different kind of fear is addressed in The Thing Lou Couldn’t Do, written and illustrated by the versatile and always delightful Ashley Spires. Lou is brave about all kinds of things, but when her friends decide the tall tree in her backyard is a pirate ship, she’s wary. She has never climbed a tree, and she has no desire to do so. Lou comes up with many creative excuses not to join her friends, but she finally gathers her courage and gives it a try. Spires’s bright, expressive illustrations and playful text put the reader right into Lou’s cute little black running shoes. This tree is BIG, with a smooth trunk that reaches high up into the stratosphere. But as Lou struggles, first with admitting her fear, then facing up to it, she develops into a more authentic version of herself. And in a refreshing twist, she doesn’t manage to climb the tree: the important thing was to try. 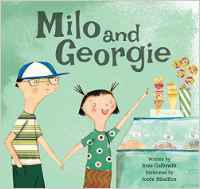 Milo and Georgie, written by Bree Galbraith and illustrated by Josée Bisaillon, has Milo and his sister, Georgie, moving to a new city. Milo, determined to be unhappy, stays inside watching TV, while Georgie sets out to explore the new neighbourhood and make friends. Milo ties a long piece of string around her waist so she won’t get lost, but when the string breaks and Georgie doesn’t come home, Milo has to do something. Left to his own devices, he might never overcome his fear, but his sense of responsibility for his little sister gets him out the door. He quickly discovers that the city is full of friendly people and opportunities to have fun. Bisaillon’s tall, narrow houses, outdoor cafés, and graceful trees create a charming urban landscape reminiscent of Montreal (the artist’s adopted home). Galbraith’s gentle story about finding the courage to embrace change is both scary and satisfying. Although each of these books deals with a different kind of fear, the resolutions are much the same. It’s no good hiding under the covers: sooner or later it becomes necessary to look a fearful situation in the face and deal with it. These authors and illustrators turn fear inside out and help their characters find a way through the darkness, into the light.